More and more people are purchasing smart phones with data plans so they can stay connected even when they are on the go. YouTube has been available for smart phones since they gained in popularity and has even come out with an app that allows videos to be played directly from a smart phone. This is a great way to share your videos with your friends because you can upload your videos directly from your phone and onto YouTube. This saves so much time because you don’t have to transfer the video from your phone and onto your computer to upload them. Below are some other tips for using YouTube for smart phones. There are many great video editing apps that can add music and other effects to you videos that you upload. Many of these applications are free to users and allow for a wide variety of features. Again, this means you don’t have to transfer your videos to your computer in order to edit and upload them. You can edit them, save them to your SD card and then upload them directly to YouTube. If you are using YouTube for your business this is a great way to post videos of promotions and events in real time. Your viewers can watch just minutes after an award ceremony or celebrity softball game. Yes, your smart phone has a browser but it’s not set up to handle the file formats that are found on YouTube videos. There can be a lack of quality in the videos when you watch them from the browser rather than from the app. Most smart phones today come with the application already loaded onto it but if it is not, you can go to your phone’s application store and download the software for free. It only takes a few steps to be ready to watch and upload videos from your phone.Want to get more views to your videos? Check out this website for quick views. To make things even easier on you, you can actually record from the YouTube mobile phone app. Just click on the icon and when the app opens, click on the video camera icon. This opens a video application that you can use to take videos with. You can choose color effects for the video before you record it as well as the YouTube default resolution settings or other resolutions depending on how much space you want the saved file to take up on your phone. The only thing you can’t do is use your phones video application features from the YouTube software. If you want to do that your phone’s video app is a better option. 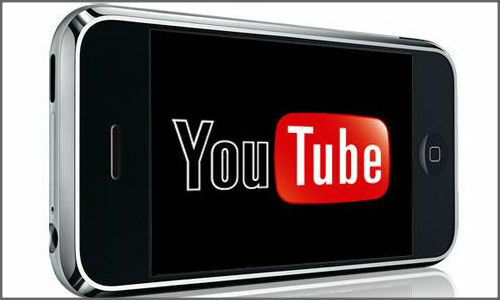 YouTube for mobile phones is a wonderful way to get your videos onto YouTube quickly and seamlessly. You don’t have to worry about transferring files from your phone to your computer and then upload them to the site. This saves time for companies that want to get their videos posted to YouTube as quickly as possible. About Author: Brent Johnson loves making and sharing videos and game footage on YouTube. He also spends some of his free time helping others learn how to make the most of YouTube through tips articles. How Secure Is Your Cloud Computing Service?